Dovid’s first son flickered up to her side, smiling, fish-like, half-naked. Ever since its little House of Youth Culture had screened the trophy film quartet about Tarzan the Ape Man from Hollywood, shirtlessness had taken hold settlement-wide, a craze among males of all ages. Musya worried too much over the boy’s health to stop objecting. Explaining Tarzan in Tepoloye Ozero, this 2015 article by Clare Knight in Kinokultura discusses the place of trophy films in post-war Soviet cinema. War spoils, “Hollywood and Nazi productions from 1930-1944 that were reprocessed according to Soviet censorial strictures and released in cinemas across the USSR from early 1947 until 1956,” many came from the collection amassed by Hitler’s Minister of Propaganda and “notorious cinephile” Joseph Goebbels at Babelsberg, which the Red Army captured in 1945 . 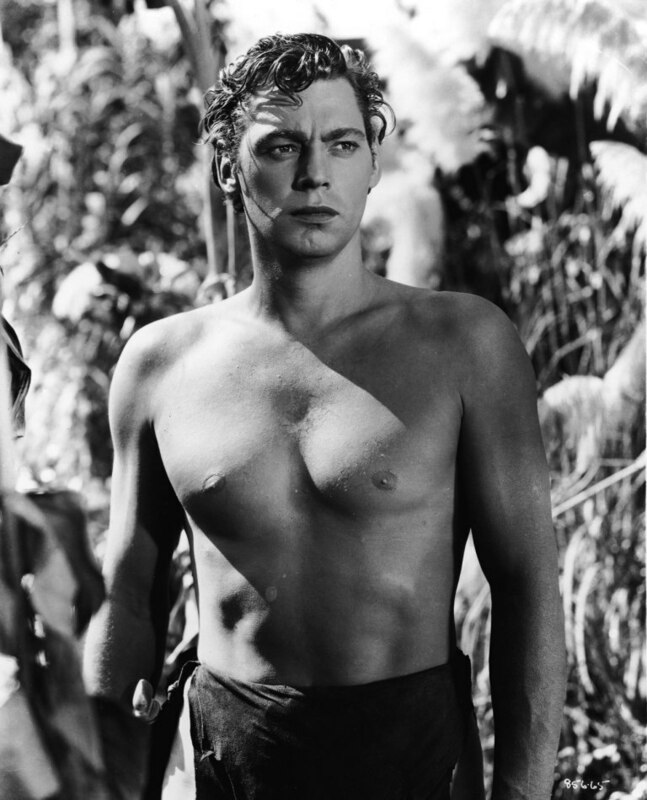 Johnny Weissmuller’s torso would prove influential upon the generation to come. Here’s a beautiful shot from a nice WordPress site.